Founded in March 2009 by Danny Haile (pictured above), the company was started by nail techs for nail techs. 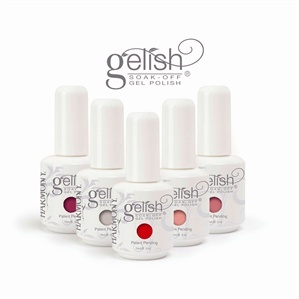 Hand & Nail Harmony is the innovator and developer of Gelish (launched in 2010), a brush-on soak-off gel polish that utilizes LED-curing technology and has three U.S. patents pending. In addition, Hand & Nail Harmony is a full range artificial nail manufacturer that has innovative technology in acrylic liquids-and-powders, plus the first LED UV gel system. New from powerhouse Hand & Nail Harmony (makers of Gelish) comes a professional polish line that sets itself apart by pushing the envelope in polish colors and finishes.